The key lock security provided with laptops and notebooks are common but such kind of security was not available with the tablets until now. But Kensington the computer peripheral makers have launched a new accessory for the Apple iPad that lets you use a security lock for your device. This new accessory is called as the SecureBack Security Case. 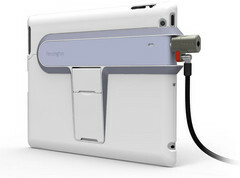 This product is actually a plastic case designed to offer protection of your iPad from scrapes and scuffs. 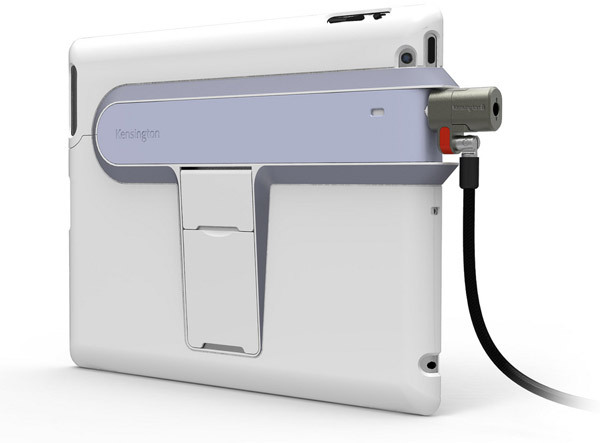 It fits around the tablet and allows the users to lock the tablet to a cable so that it is difficult to remove the device without the key. This product is the first of its kind and it will really be a good option for all the users who uses the iPad in office, or any professional environments as well as some other public places. Though the Tablets are new to the world but it soon gets very popular and a lot of people are already getting accustomed to the device and so using it in various public places. This will even make you feel confident and carefree about your iPad as it cannot be easily slipped away by anyone from your office or any other public place when you just moved away from your iPad. The basic SecureBack Security case has already been placed for pre orders priced at $50. With some extra bucks you will be also delivered with a kickstand on the back or even the model which comes with a Kensington ClickSafe lock.